Sometimes choices and judgements are made to save time, to save money. Sometimes choices are made in unfortunate ignorance, in a time when no one could have foreseen or recognized the right choices to be made. Sometimes there is no one there to provide perspective, to provide alternatives. And then people die. Lots of people. Ask folks what they think was the worst disaster in California history and many will get it right. Upwards of 3,000 people died in the 1906 earthquake in San Francisco, and the event has shaped the psyche and attitude of many people in the state more than a century afterward. And it was brought about by a natural event. The second worst disaster in the history of the state is far less known. Some might guess another earthquake, like the Long Beach quake of 1933 (115 dead) or the Loma Prieta earthquake of 1989 (63 dead). Historians might point to the Port Chicago munitions explosion of 1944 (320 dead). Few people are aware that it was the collapse of a dam, and that the collapse was the result of many poor choices. Hindsight is a harsh judge, but many of the mistakes were "before their time" so to speak. The fact that it happened maybe has prevented worse disasters in the intervening years. Time (and a great deal of government effort) has erased much of the record of our state's second worst disaster. As far as I could see there is not a single plaque or monument, either concerning the horrific event, or commemorating those who were lost. There is a small cemetery where some of the victims were buried. 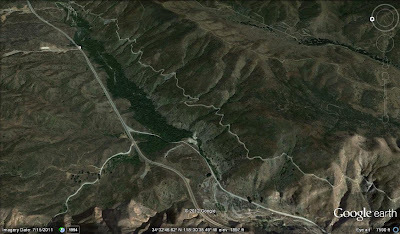 Looking at the slide area on the left side of the picture above, it is hard to believe that a 200 foot high dam was anchored there, in the incompetent mica schist. It is hard to believe that the failed slopes in the picture obscure an even deeper and bigger megaslide. It is hard to look at the flat ridge on the right side of the picture above and realize that no one ever thought to check the effect of soaking the seemingly solid conglomerate in water. 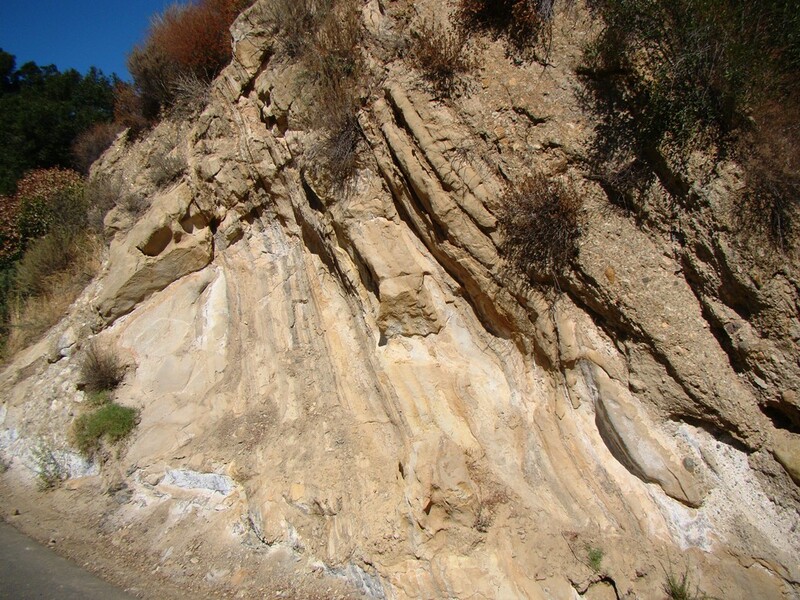 It is glued together primarily with gypsum, a mineral that dissolves in water. The rock falls apart when saturated. Maybe the most stunning realization is that the schist and the conglomerate are separated by a fault zone. An inactive fault by all appearances, but a fault nonetheless. They built the dam on a mega-landslide, and on a fault zone. It is difficult to envision that on the night of March 12, 1928, the recently completed dam failed so catastrophically that the floodplain in the photos above and below was inundated with 140 feet of water flowing at a rate of 1.7 million cubic feet per second (California's biggest river, the Sacramento, averages 30,000 cfs, and the record flood on the river was 650,000 cfs). 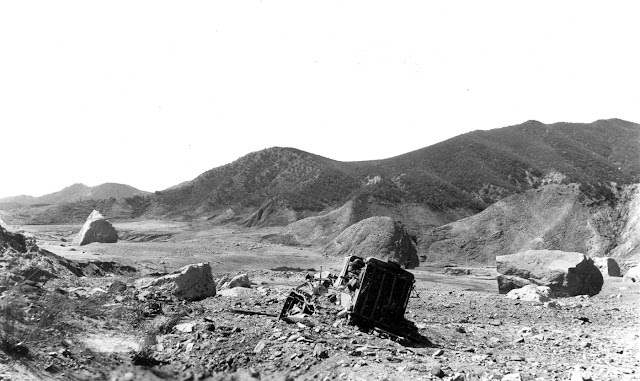 As Ron and Randy correctly surmised, Friday's mystery photo was about the destruction of the St. Francis Dam in 1928. I consider it one of the most important geological events ever to happen in the state, not because a great many people died, but because they died as a result of a disregard or lack of knowledge concerning human construction projects and the geological foundations on which they are built. 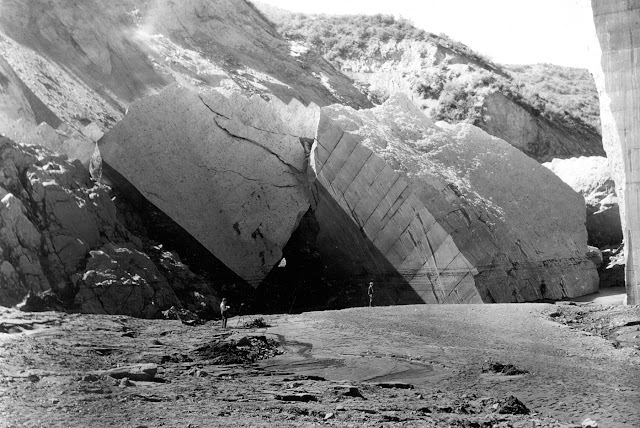 Earthquakes and volcanic eruptions are inevitable geologic events, but the events of 1928 were completely avoidable. In the early twentieth century, Los Angeles was at a crossroads. The city was growing fast, and the water needs of the metropolis far exceeded locally available supplies (according to city officials anyway). The story of how the city stole (legally stole, but stolen nonetheless) the water from underneath the people of the Owens Valley is a legend of California history. The fact that much of the water went to irrigation in the San Fernando Valley instead of the city just added to the scandal. Having completed the Owens Valley Aqueduct, one of the largest public waterworks ever conceived, the city needed someplace to store the water locally, especially in preparation for drought conditions. William Mulholland, the superintendent of the predecessor to the Los Angeles Department of Water and Power, oversaw the design and construction of a series of reservoirs around the Los Angeles Basin. 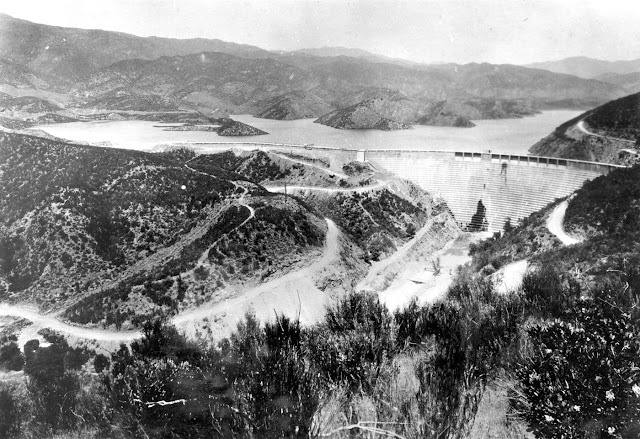 Nine were constructed, and St. Francis Dam in San Francisquito Canyon above the Santa Clarita Valley was the largest, with a storage capacity of 38,000 acre feet. The dam itself was about 200 feet high, and just over 600 feet across. 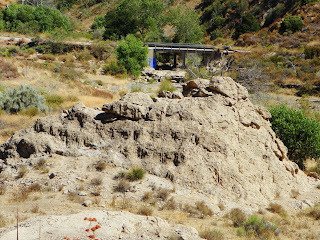 It was a concrete gravity-arch dam, one that depended on the nature of the rock in the abutments to maintain stability. Construction was begun in 1924 and complete in 1926. During the construction Mulholland directed that the dam be made 20 feet higher than in the original plans, but he made no alterations at the base to compensate for the additional weight of the water. 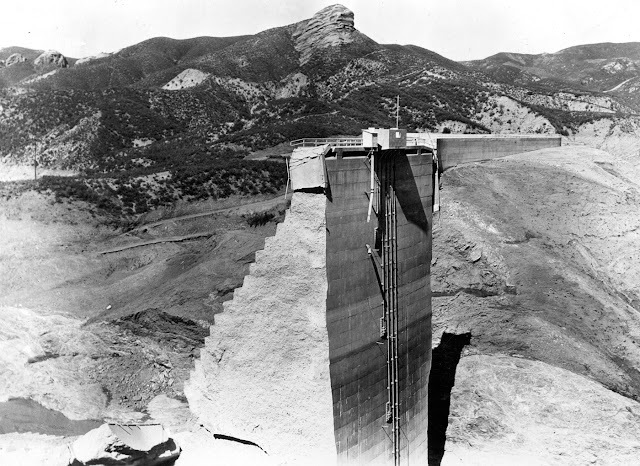 The filling of the dam took another two years, and was complete on March 7, 1928. On the morning of March 12, the dam keeper noted a leak of muddy water and alerted Mulholland. Small leaks of clear water from dams are usually expected; muddy leaks from a dam are very bad. 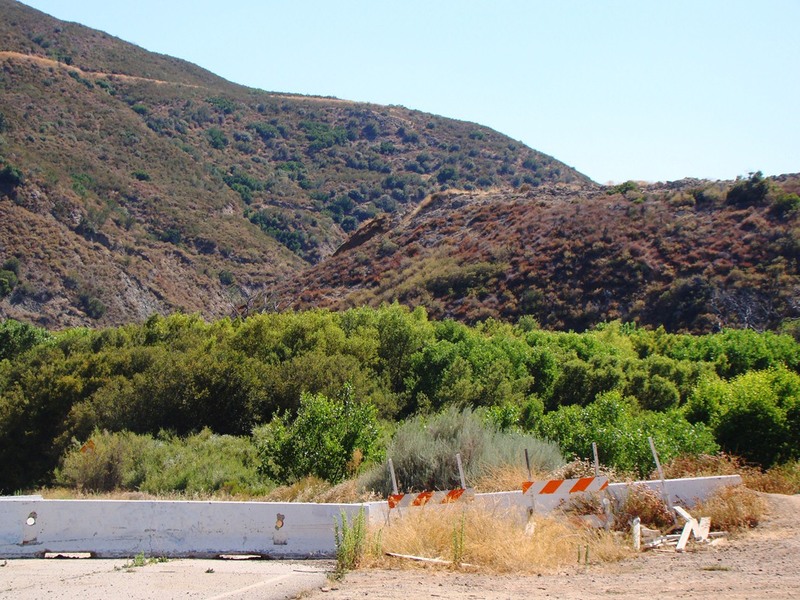 Mulholland declared that the mud was from some recent road construction and that the dam was safe. 12 hours later, the dam keeper was dead, the first victim of the collapse of the St. Francis Dam. In the hours that followed at least 600 more lives were lost. To his credit, Mulholland took the blame for the disaster. Although he was never convicted of any crime in the matter, his career was over. He died seven years later. Accounts at the time suggested that failure occurred as water channeled through the conglomerate along the fault contact. A reassessment of the failure by J. David Rogers finds multiple causes for the disaster, with the reactivation of the ancient landslide being the most important factor, along with hydraulic lifting of the dam which was caused by water pressing against the topmost part of the dam (which had been made higher without compensating at the base). Rogers lists many other deficiencies, including the weakness of the rocks in the dam abutments (I refer interested readers to this very fascinating pdf by Rogers that provides a blow-by-blow analysis of failure of the dam and a great deal of background information on the disaster). Incredibly, despite the total evisceration of the dam, the central part remained standing, a 200 foot high monument to the destruction. 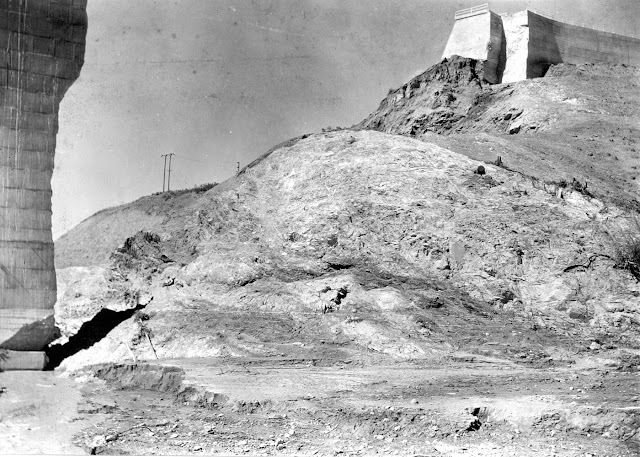 After a sightseer fell off the top (his "friends" had tossed a rattlesnake at him), the city quarried holes in the base, filled them with five tons of dynamite, and blew up the remaining tower. Other blocks were also destroyed, as if they were trying to erase all memory of the event. One of the blocks was the "outcrop" I used in the Friday mystery photo. The U.S. Geological Survey has a (much appreciated) photo archive from which I have gathered these photographs of the aftermath. 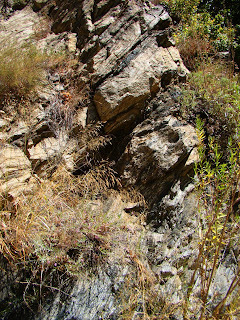 In the photograph below, the fault line dividing the Vasquez Conglomerate from the Pelona Schist can be clearly seen (the lighter Pelona in the foreground, the dark Vasquez on upper ridge). The fault is inactive, and no earthquakes are implicated in the failure, but had the dam not failed, rising water pressure along the fault could conceivably have eventually caused renewed quake activity. The phenomenon has been noted elsewhere. Blocks of concrete weighing thousands of tons were carried in the floodwaters nearly a half mile downstream. The magnitude of the disaster is hard to comprehend. Normal rivers have trouble moving boulders only a foot across. Besides the sheer magnitude of the flow, debris from the landslide buoyed up the blocks. The block below was a half mile downstream. It measured approximately 63 feet long, 30 feet high, and 54 feet wide. It is hard to find much that is positive in this disaster, but changes were made in the aftermath. The input of qualified engineering geologists became a requirement in dam-building, and much more attention was paid to the geological setting of reservoir sites. Boulder Dam on the Colorado River, one of the largest dams in existence is not in Boulder Canyon. 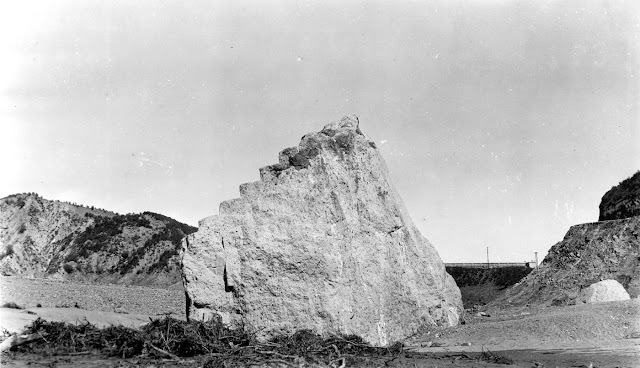 Following the St. Francis disaster, the site of the dam was changed to Black Canyon when it was decided that the rocks that would anchor the dam were more stable there. It would not be at all correct to say that we learned every possible lesson in dam construction. The 1963 tragedy at Vaiont Reservoir in Italy and the 1975 collapse of the Teton Reservoir, Idaho are vivid examples of unlearned lessons. Hindsight is harsh. But it can be a teacher, too. Have you seen a great countertop out there? Sure, everyone says it’s “granite”, but you know better. Take a picture, post it on your own blog or send it to me and I’ll post it for you. 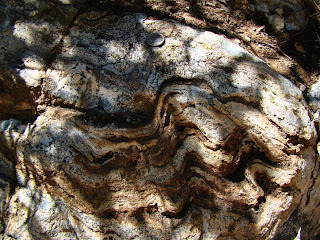 Do you think you know what it is or how it was formed? Feel free to include your own interpretation and I’m sure others will enjoy joining in the discussion. Ron Schott suggested that we expand the entries by including any decorative stone material that has been separated by humans from it’s source. This includes buildings, statues, etc. There’s a lot of really unusual stuff out there, so make sure to find a good one. Several years ago we took a class of geologists and archaeologists to Italy and Switzerland for a taste of overseas geology and culture. I didn't have the connections to do our own chosen itinerary, so we were on an arranged tour with a few geological diversions. We made sure we got to Pompei, and climbed to the top of Vesuvius (above), and in the best moment of the trip we managed to find the site of the original Alvarez K/T boundary near Gubbio (the first place where evidence was found for the asteroid that ended the existence of the dinosaurs). That is one happy (and VERY relieved) professor in the picture below. I more or less knew where the outcrop was located, but we missed it on the first pass with our large bus on the very narrow road, and we had to go several miles before the bus could make an Austin-Powers-style back-and-forth U-turn. Still, we were on a tour, and in the middle stretches of the trip we explored the very beautiful towns of Florence, Verona and Venice. Spectacular, but not a lot of actual geology (although we had a lot to say about the mountains in the distance). I tried to convince our crew to go see the marble quarries at Carrara, but they insisted on seeing some badly engineered tower in some coastal town called Pizza or something like that instead (below). It was in Venice that I found my contribution to the Accretionary Wedge. Geology-wise, the city is interesting because it is sinking, in part for being built on mud, and partly because of the tectonic environment (it is near a convergent boundary, and is being compressed downwards between two mountain systems). But by its very nature it has no natural outcrops of rock at all. No natural outcrops, but plenty of rocks! The sidewalks and squares are covered with marble tiles from quarries in the Alps and Apennines. And as I was walking in the shade at the edge of Piazza San Marco (St. Mark's Square) I noticed unique swirls in some of the tiles: ammonites! 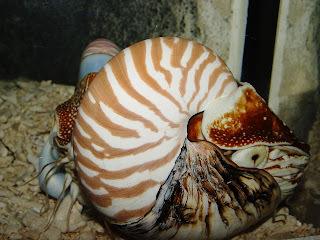 Ammonites were cephalopods related to octopi and the chambered nautilus that populated the seas in huge numbers during the age of the dinosaurs. It was nice to see these fossils in the middle of the urban environment of Venice, in a place so removed from their place of origin! It's actually been awhile since I've seen any full-time teaching opportunities in the geology or earth science listings of the CCC Registry. This week there are actually two of them, for Bakersfield College and Santa Monica College. There are now a total of four positions open in the California Community College System (Info on openings at Mt. San Antonio College and Santa Barbara City College was posted earlier). Some of the application deadlines are approaching quickly. Talking about oil drilling in California...is that like kicking a beehive? We drill into the earth to find oil. It is a measure of our dependence that we also fight wars over it, support vile dictators, and drill for it in the harshest conditions on the planet: in arctic tundra, in isolated deserts, and deep ocean basins. We end up dealing with huge environmental consequences as we attempt to clean up our spills and as our planet warms up at an unprecedented rate. I can see where it once made perfect sense to go all in with oil and gas. No one knew of global warming and greenhouse gases, and in some areas the oil seemed practically as plentiful as water. It made sense when it was cheap and easy to get. But now it is different. Oil is expensive, but it is so completely integrated into our economy that we can't easily wean ourselves from it. California was once one of those places where the oil seemed to flow like water. The freeway economy and near total lack of public transit in the southern California metropolitan area was a consequence of the vast amount of oil that was once drilled in the Los Angeles basin. Fuel was easy to get and cheap to purchase. Things have changed in a radical way. 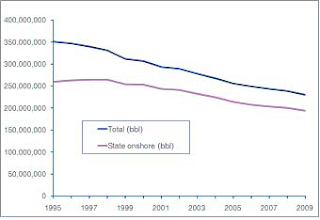 California produced 230 million barrels of oil in 2009, fourth in the country after Texas, Louisiana and Alaska. But oil drilling in the state is in a long-term decline; the last time our state produced oil at a level this low was in 1941. But the state uses something on the order of 700 million barrels of oil each year. Nearly two thirds of our oil has to come from somewhere else. I didn't know a lot about the story of California oil, but a possible opportunity to lead a field trip with foreign oil geologists popped up last summer. I hit the road (and the books) and found myself in the Santa Clarita Valley discovering the site of the state's first gold rush, and some of the oldest rocks. I also stumbled across a historic oil well. 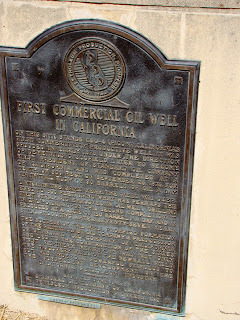 Not only was it the first commercially successful oil well in California, it was also the longest continually operating oil well in the world, pumping oil from 1876 to 1989 (a similar claim is made about a well in Pennsylvania, though). It was Pico No. 4. Equipment has been removed throughout Pico Canyon, but the well casing was kept at Pico No. 4 because of the historic nature of the well. A historical monument can be seen in the background. Pico No. 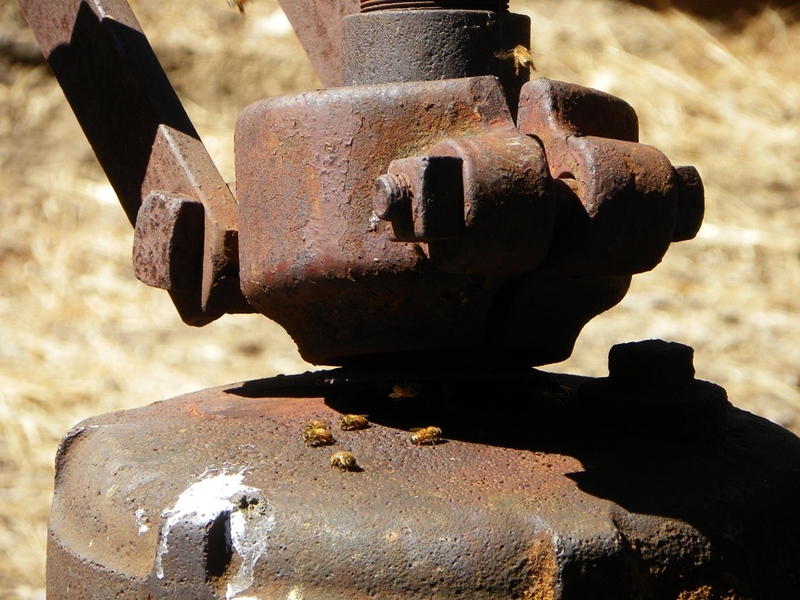 4 was not the first attempt at oil drilling in the state. 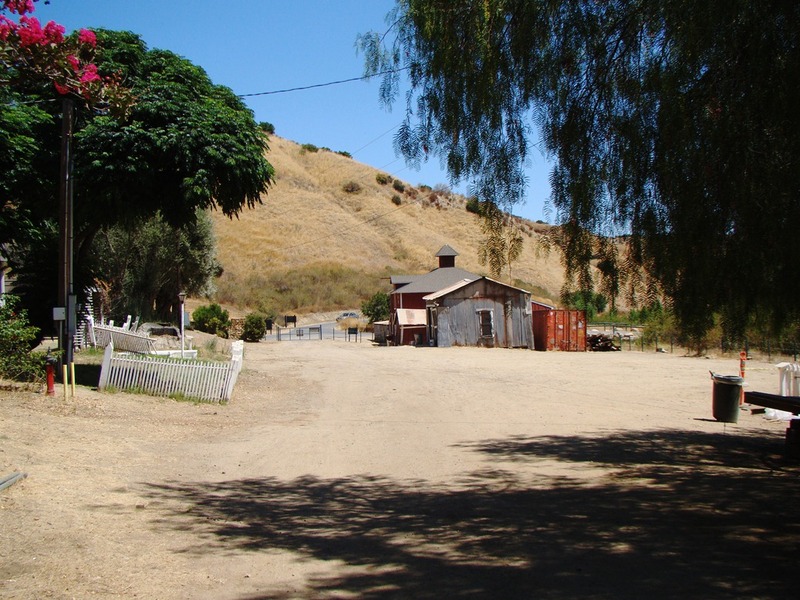 The remote village of Petrolia in northern California was the site of a drilling attempt in 1861, but the oil was very quickly depleted. 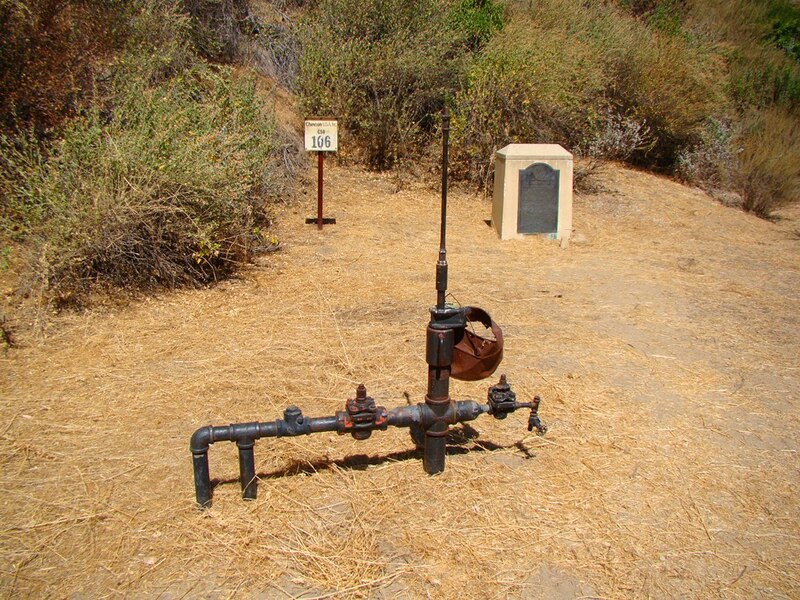 Other attempts were made in the 1860s, but none were successful until Charles Mentry started drilling a series of wells in Pico Canyon. The fourth well proved successful, and the production began. The town of Mentryville popped up in the lower part of the valley. The oil drilling took a toll. When production started to fall, wells were abandoned, villages turned into ghost towns, and equipment littered the canyon. 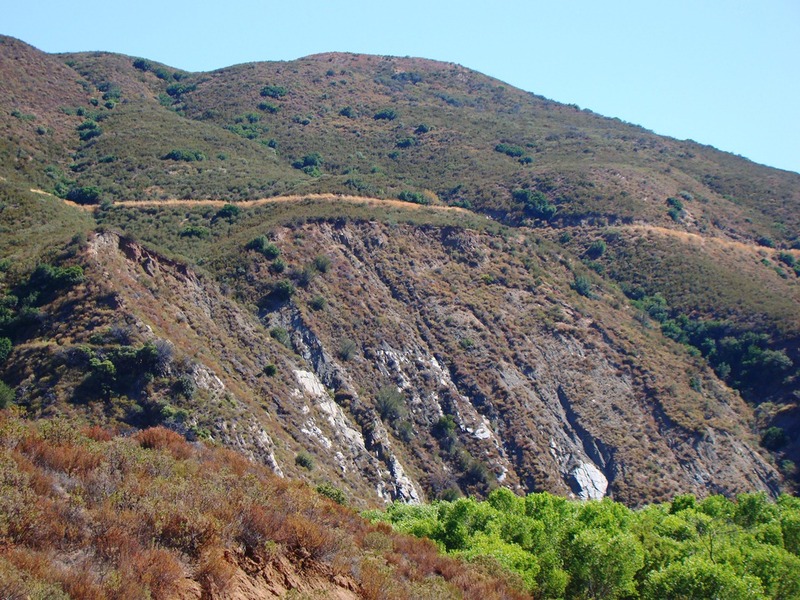 Eventually Chevron pulled out of the region entirely, but they clearly made an effort to clean up some of the worst of the damage, and turned the land over to the Santa Monica Mountains Conservancy. 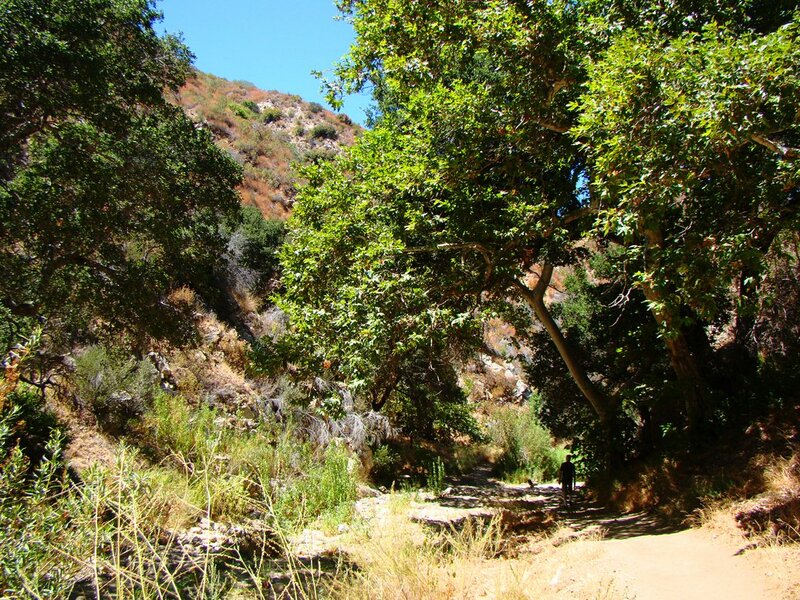 Pico Canyon is now a parkland, and it is a surprisingly pleasant place to visit, given the checkered history of our abuse of the landscape. 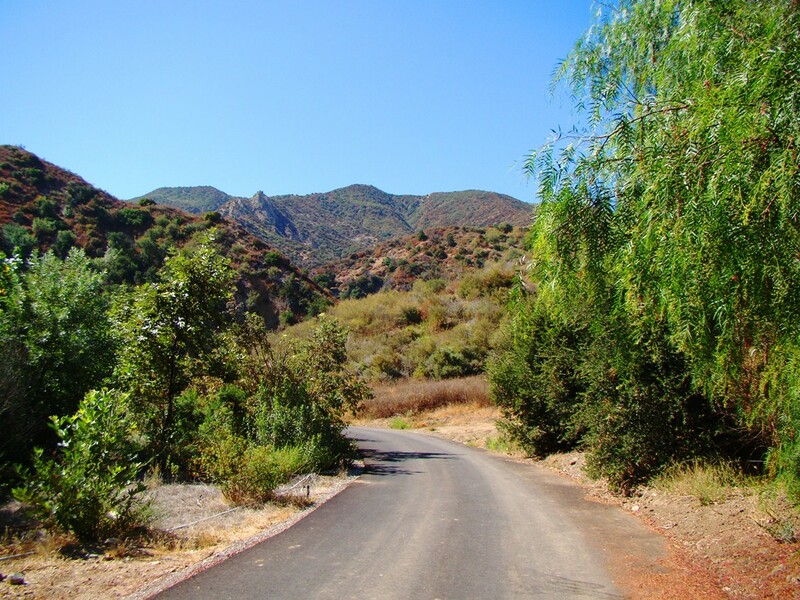 There is a modest fee for parking at Mentryville, and the "trail" leads up the canyon through the chaparral covered slopes and riparian woodland. Although the road is paved for a mile or so, the gates are locked, so you will see bikers, joggers and hikers, not cars. The slopes are made of sedimentary rocks that formed in Pliocene time, mostly within the last 5 million years in a shallow marine environment. The exposed formations include the Pico Formation and the Towsley Formation. The rocks are steeply tilted, but at the head of canyon they fold over, forming an anticline that served as the oil trap. 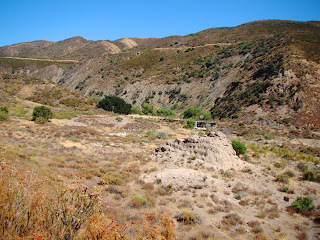 Around eighty wells were once present in the upper canyon. It was an enjoyable stroll, even though the late August day was pretty hot. 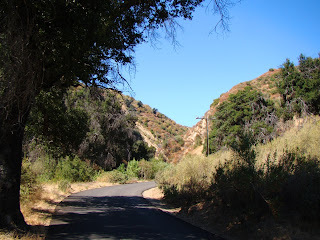 It was nice to find some occasional trees shading the road. I found myself wondering how many wildflowers can be seen during the spring. It must be quite a show! My time was limited, so I turned back at the end of the pavement. 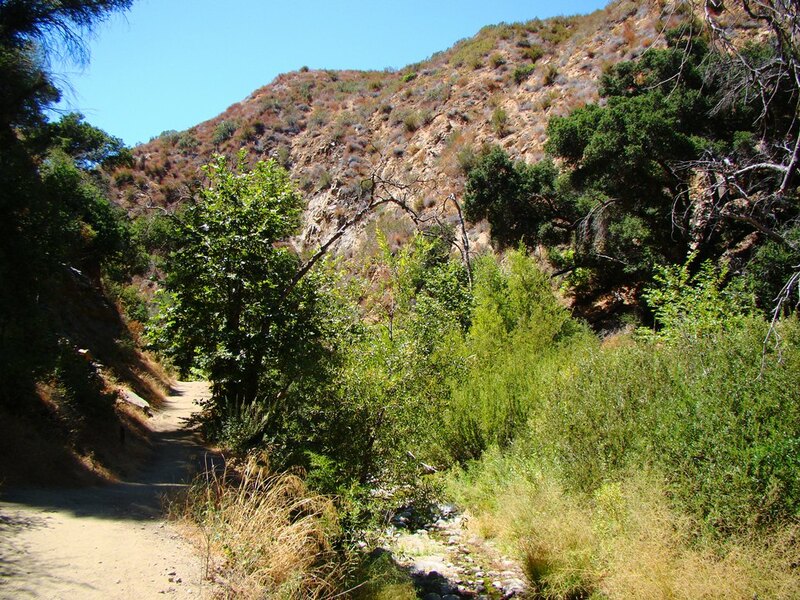 Trails continue beyond into adjacent canyons allowing for a number of choices in hiking destinations. We wandered back down to Mentryville and looked at some of the buildings, and then headed back out to the highway. The ghost town of Mentryville still has a few buildings. The thought that occurred to me as I walked back down the canyon is that given enough of it, time does heal some wounds. "Due to a large rockfall that occurred at approximately 11:30 last evening, the Big Oak Flat Road (the continuation of Highway 120) is closed in Yosemite National Park. The road is closed between the Foresta Junction on Highway 120 (Big Oak Flat Rd.) and the Highway 120/140 (El Portal Road) Junction. 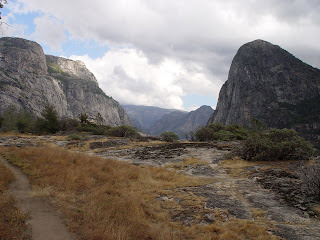 Yosemite Valley remains accessible via Highway 140 (El Portal Road) coming from Merced/ Mariposa and via Highway 41(Wawona Rd.) coming from Fresno/ Oakhurst. 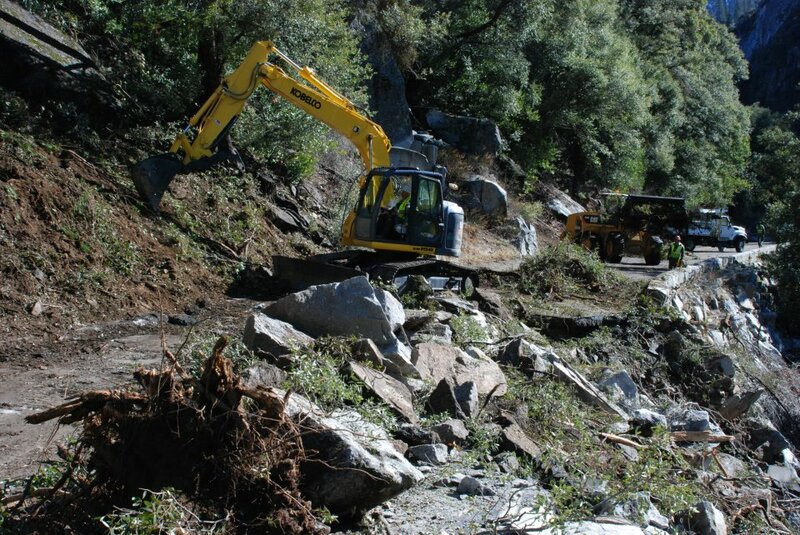 The Tioga Road remains closed. Foresta Road, between Foresta and El Portal, is not accessible. Yosemite National Park remains open. With a winter storm currently in the park, chain restrictions are in place on some park roads . For 24 hour road and weather information, please call (209)372-0200. 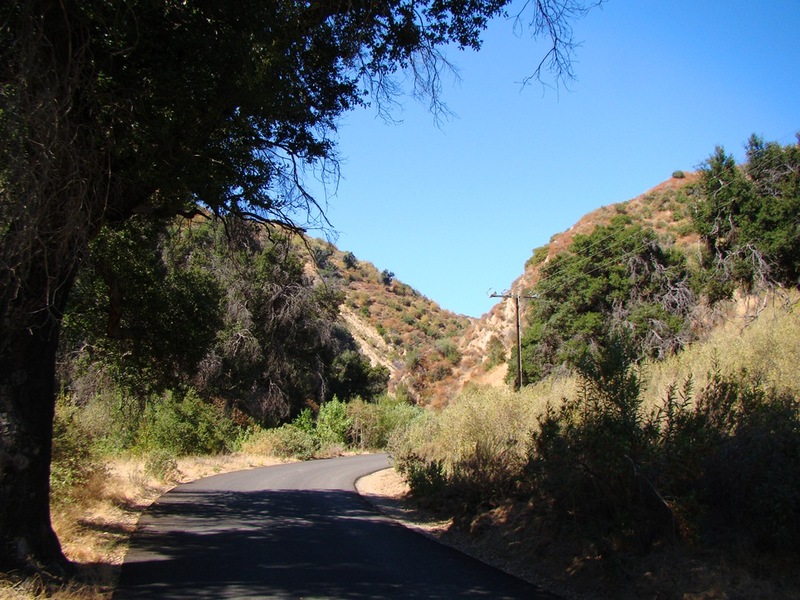 The Big Oak Flat Road will remain closed indefinitely." I posted several entries in my long-running blog series on the "Other California" and realized that I was linking to a compilation page that was woefully out of date. I went through and added more than two dozen entries that I posted over the last two years, including a lot of material for the Sierra Nevada, the Transverse Ranges, and the Coast Ranges. 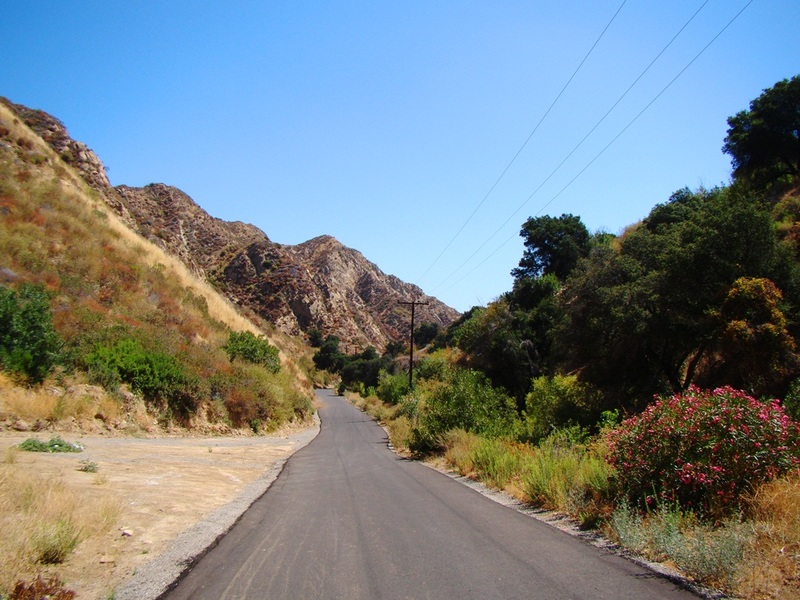 If you are curious about some of areas I covered in the past, check out the compilation on the Other California on this page. 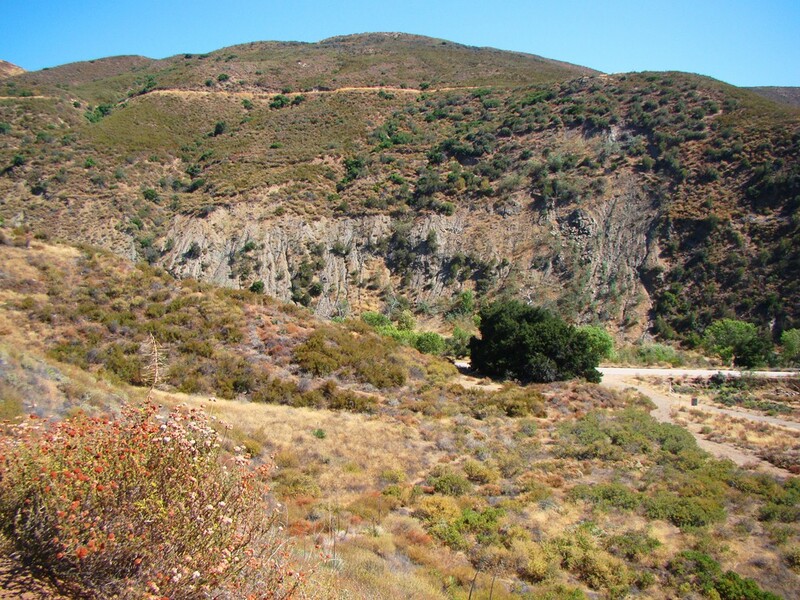 Part of the mystery question I asked the other day suggested that the oldest rocks in California lie within a few miles of the Santa Clarita Valley. I kind of knew I would be opening a can of worms by pointing this out, and I will try to explain why this idea might be ambiguous at best, and highly controversial at worst. 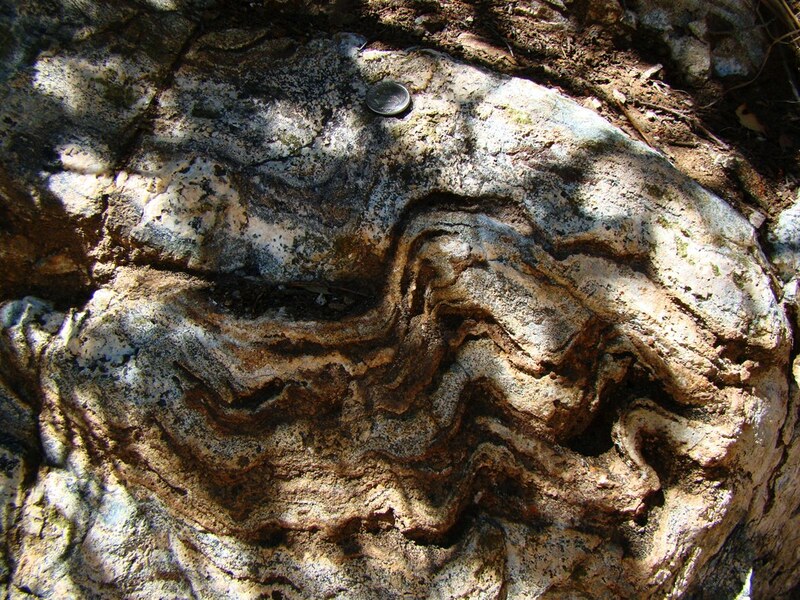 In essence, yes, some of the oldest rocks found in the state are found there, but defining how 'old' a rock is can be a real conceptual problem at times. A side note: Carbon dating is another form of radioactive age dating that is recognized by many people, if not well understood. It is rarely used in geology because it only useful in materials that are less than 100,000 years old. Since it is carbon-based materials like bone or wood that can be dated, the method is favored by archaeologists who are working with artifacts. 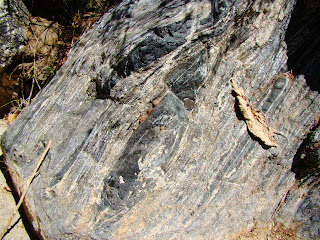 The problem comes when such rocks undergo metamorphism, that is, when they are changed by heat and pressure into new kinds of rock like gneiss, schist and marble. The heating in essence allows daughter elements to migrate out of the crystals and the radioactive 'clock' is reset to zero. 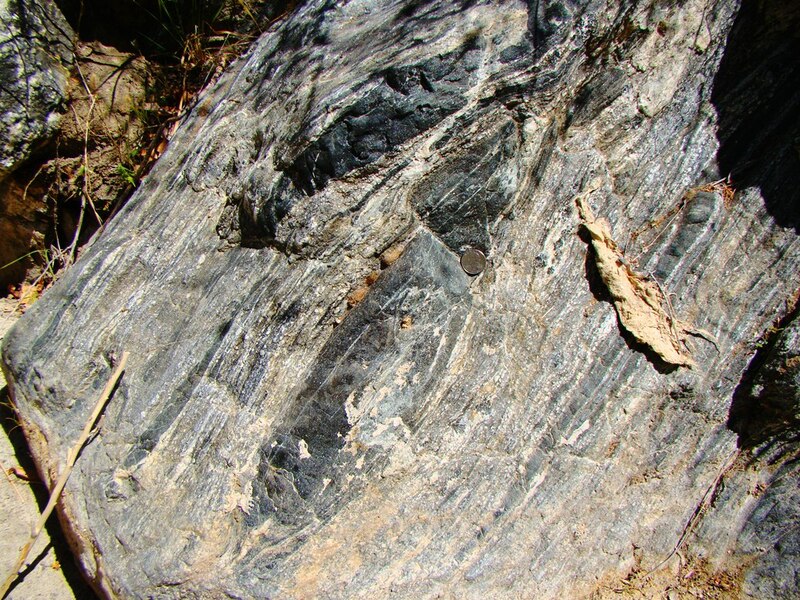 If you age date metamorphic rocks, your results tell you when the rock was metamorphosed, not when the rock originally formed. This kind of information is critical to understanding the tectonic history of a region, but it isn't the age of the "oldest rock". There is an additional complication. There are a few minerals that are not affected by the heat of metamorphism, including a mineral called zircon. When zircon crystals are present in a rock undergoing metamorphism, their 'clock' is not reset. So depending on which minerals are dated, you get the age of the metamorphism, or the age of the older zircon crystals. It gets even more tricky: zircon is also tough enough to survive erosional processes. So even though you can figure out the age of crystallization, the date you get may have come from the original plutonic rock, but it tells you little about how many cycles of uplift and erosion that the zircon may have gone through. So there you go...it turns out that the "oldest rocks" in California can be found over a rather wide area. 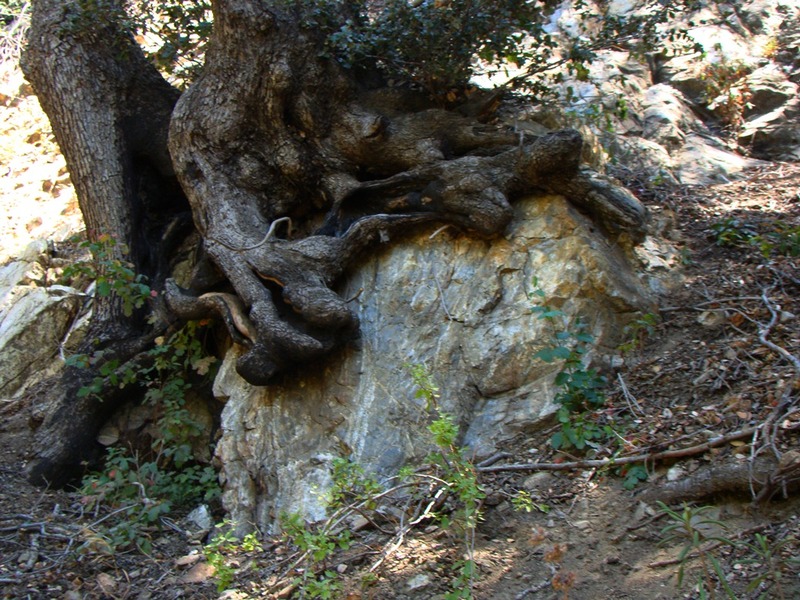 There are rocks that date to 1.7 or 1.8 billion years ago in Death Valley National Park, in the eastern Mojave Desert, in Joshua Tree National Park, and the San Gabriel Mountains, which form the eastern edge of the Santa Clarita Valley. 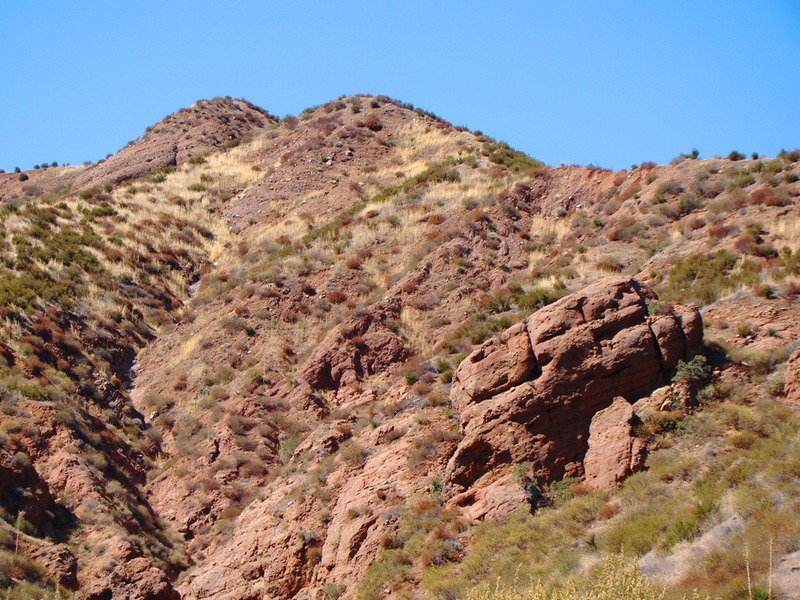 Most of the rocks were part of a vast mountain system that developed in a series of terrane collisions as the supercontinent that we call Rodinia came together (here is an excellent overview if you want the gory details of the story). 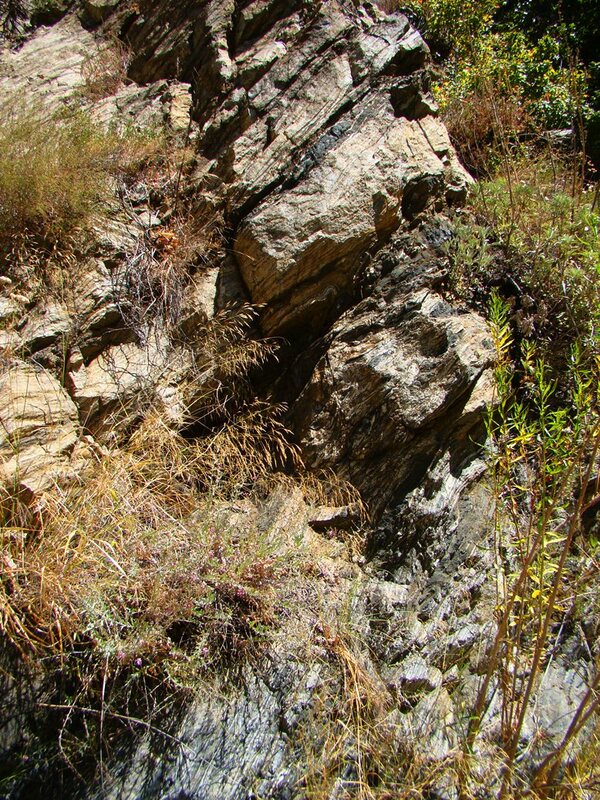 As I walked through Placerita Canyon, I was very close to exposures of the Mendenhall gneiss, which is dated, like the others, at 1.8 billion years. 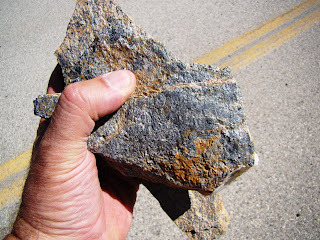 Before calling this oldest rocks "contest" a tie, we should point out that the ancient rocks in the Basin and Range and Mojave Desert are part of a Proterozoic terrane called Mojavia, which has zircon dates that extend back to 2.5 to 2.7 billion years, and as far as I know such results have not been found in the San Gabriel Mountains terrane (but as always, I am welcome to correction!). 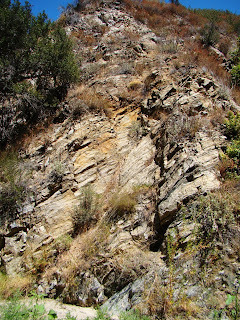 I wandered through the terrain around Placerita Canyon taking a look at some of the metamorphic and plutonic rocks of the San Gabriel Terrane (yes, terrain and terrane mean two different things; the first referring to the shape of the surface of the land and the other to the underlying crust). I haven't lived in Southern California for nearly a quarter century, but I immediately felt at home. 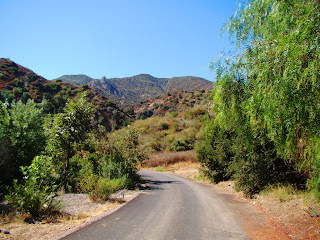 The dry chaparral slopes and the oak and sycamore filled canyons were the places that I grew up in, poison oak and all. If trails weren't present, access was problematic. I had a number of memorable trips where I was climbing slopes using the bushes as a ladder. The San Gabriel Mountains are statistically the steepest mountain range in the world and I find that easy to accept. It is a wonderful place to explore. 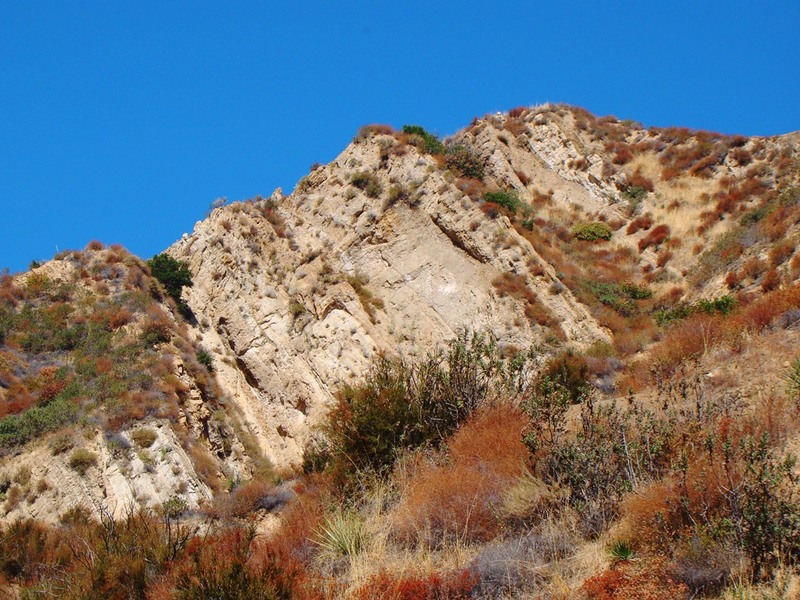 One really big change, though: in the 1970s, when I was a budding geologist, the rocks of the San Gabriel Mountainswere mapped as "metamorphic-undivided" and were poorly known. Today there is a richness of data that allows us to see the role of the rocks in reconstructing the American West of nearly 2 billion years ago. The Other California is my continuing series highlighting the geology of the fascinating places in my fair state that don't often show up on the postcards that tourists buy. The state is a big place and I have yet to see it all, so if you have a favorite corner of the state and would like to put together a blog entry, I would gladly add it to the series. 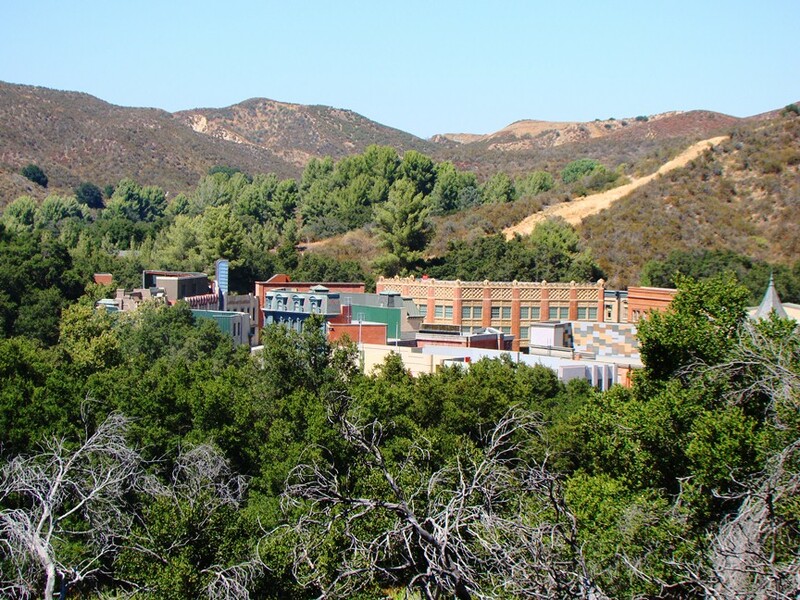 The Santa Clarita Valley is a suburb north of the San Fernando Valley, a place one drives through while following Interstate 5 to other places. I've been through it dozens of times on my travels, but I haven't usually had a lot of reasons to explore the place. It seems like the whole valley consists of new housing developments and fast-food rows. Oh, and Magic Mountain Amusement Park. But that's the thing about the Other California. There are always surprises in this state, no matter where you go. The strangely sloping hills and rugged mountains that ring the valley hide some interesting secrets. Yesterday's post was a mystery question, and as the commenters correctly surmised, the Santa Clarita Valley is the location of four very intriguing geological sites. Stay tuned for the other three in coming blog posts. Today I want to talk about the very first gold rush in California's history. 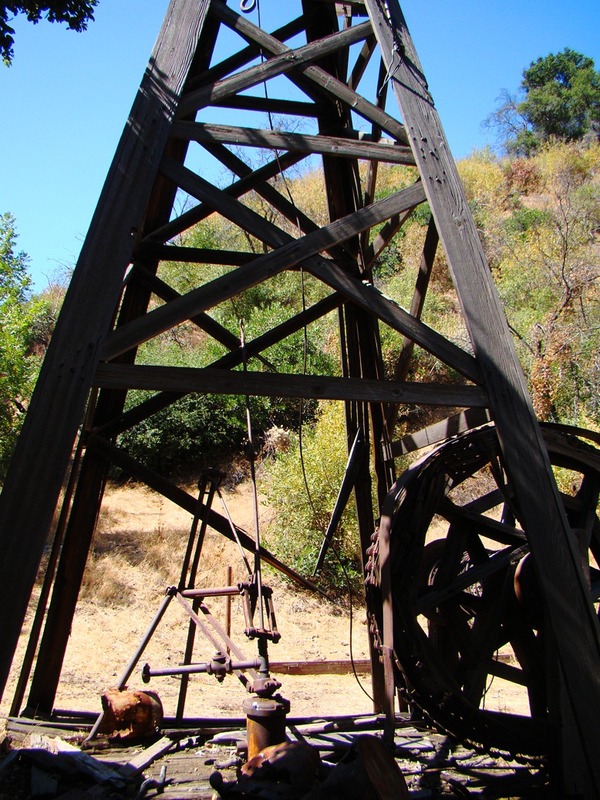 Most people in our state are familiar with the Gold Rush, the one in 1848 in which James Marshall discovered flakes of gold in the Sierra Nevada foothills at Coloma while building a sawmill for John Sutter. The forty-niners. The Mother Lode. Black Bart and Joaquin Murrieta. Fewer people realize that this seminal event was actually the second gold rush in California's history. 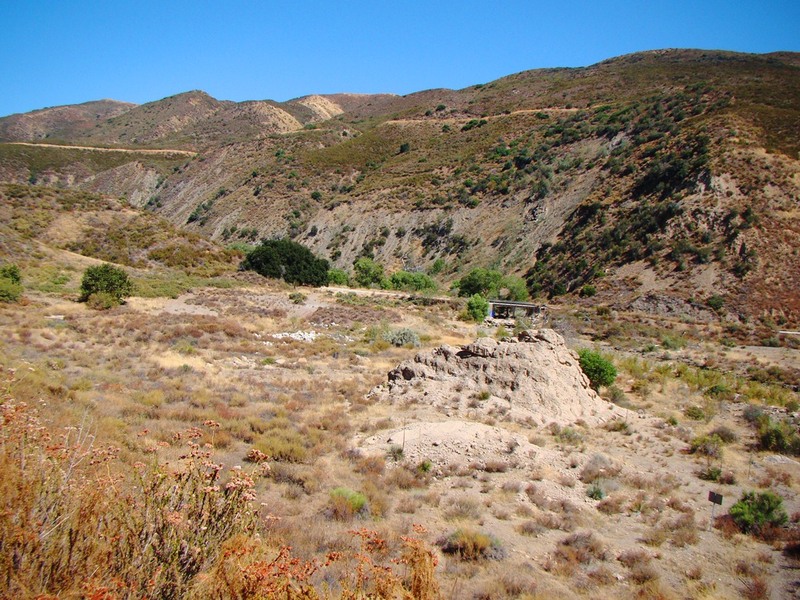 Before the Mexican-American War, California was still part of Mexico, and large ranchos had been established in many parts of the territory. 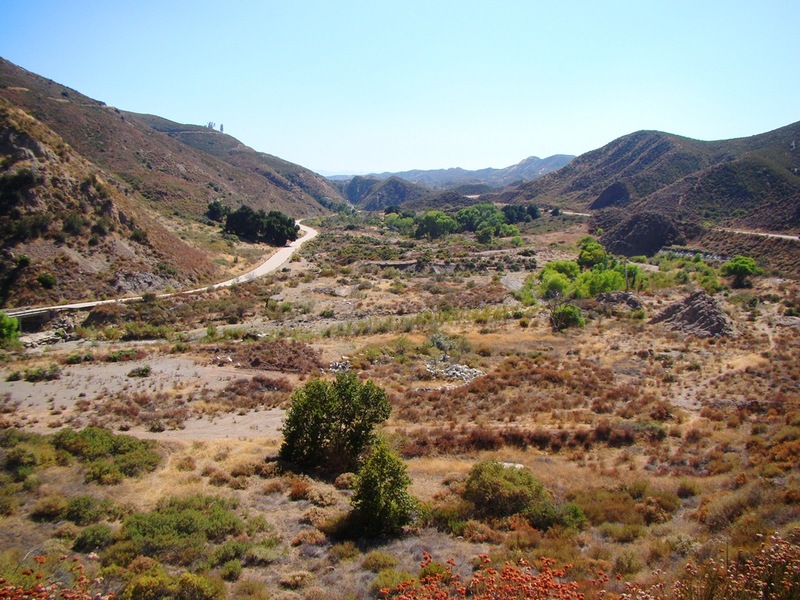 The Del Valle Rancho was established on 48,000 acres of the Santa Clarita Valley in 1839, under the ownership of Antonio Del Valle. 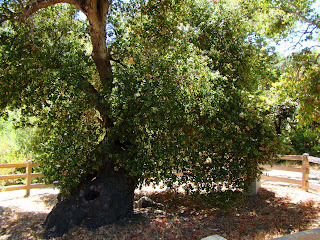 In 1842, his brother-in-law Francisco Lopez y Arbello was taking a nap under a large oak (reputed to be the one in the picture at the top of the post) during which he dreamed of being surrounded by gold. A short while later he pulled some wild onions out of the ground, and found gold flakes adhering to the roots. California's first gold rush had begun. Compared to the one that followed in 1848, the rush was relatively inconsequential. The Mexicans were not very interested in advertising the find to the world at large, and the gold played out after only a few years. It did however mean that Mexicans who were familiar with mining methods were situated just a few hundred miles from the Sierra Mother Lode. They played an important role in many of the early gold discoveries in 1848 and 1849. The discovery site is now preserved as Placerita Canyon State Park just off Highway 14 near the town of Newhall. There are few signs of mining left, but the canyon is a pleasant place to explore. 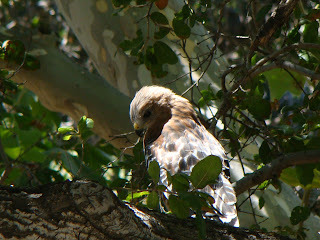 We saw woodpeckers and hawks during our short visit. Los Angeles County Parks administers an excellent nature center with an unusually detailed display of the local rock types. 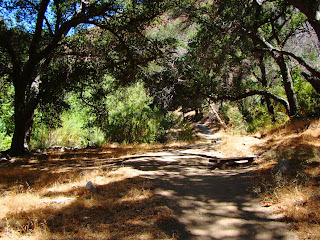 A nice network of trails can be followed, including a paved handicapped accessible trail to the Oak of the Golden Dream (top of the post). Speaking of golden dreams, keep your eye on the north side of the road as you return to Highway 14. 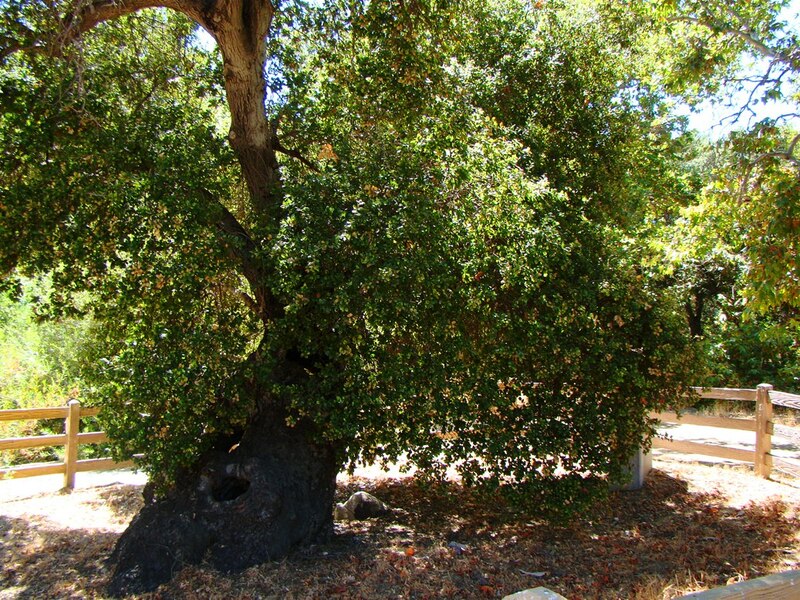 Ensconced in the oak woodland you will see a somewhat bizarre looking development. 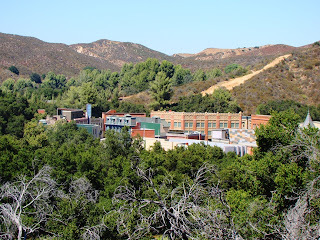 This is the Golden Oak Ranch, a permanent movie set that has been owned by the Disney Corporation since 1959. Even though you can't visit the place, you've probably seen it many times over in the movies. And if you make movies, you can rent the ranch! 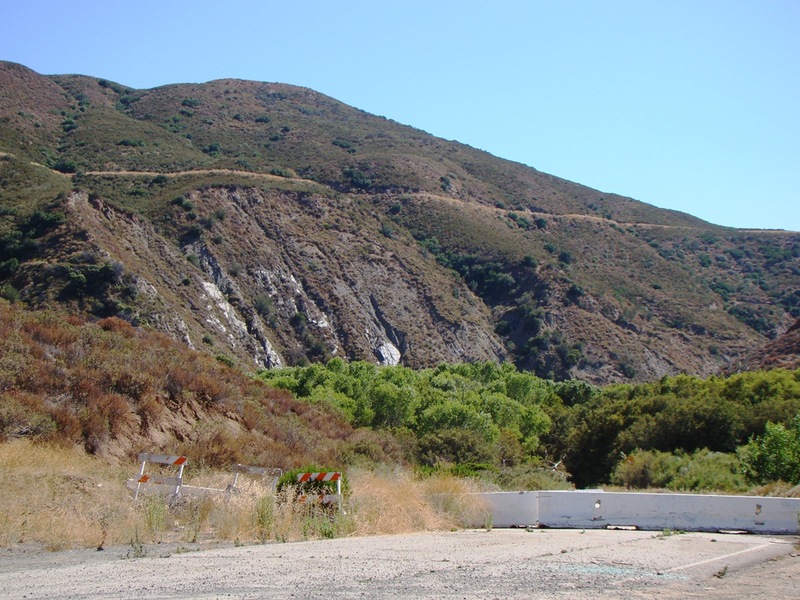 This link to the California Geological Survey has the classic story of the California's gold rushes, originally published in the 1948 Geologic Guide to Highway 49. 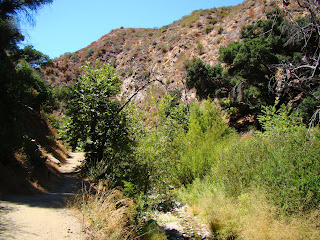 In the next post we will take a closer look at the rocks in Placerita Canyon. It turns out they are kind of old. Well, really old. Now that I've finished my latest series on vagabonding, I can revisit one of my other long-term projects, one that may never actually end. 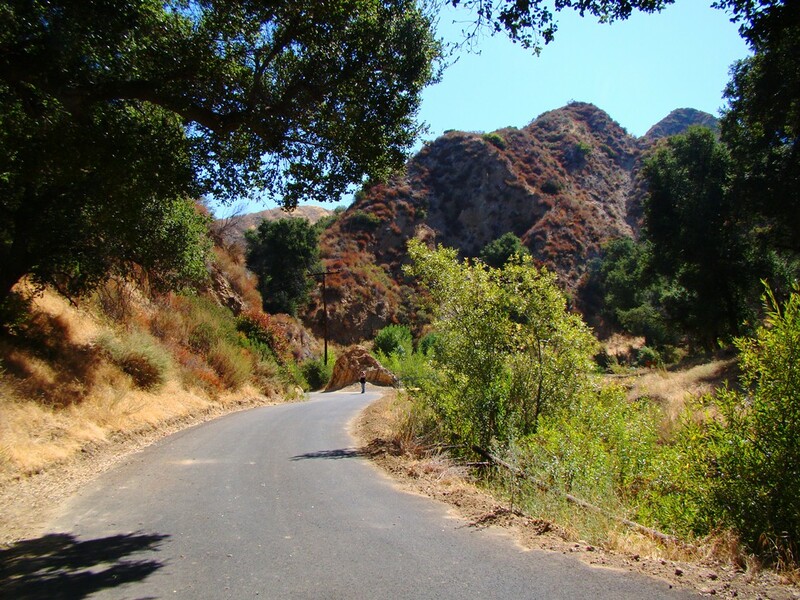 It's the Other California, an exploration of the geological places to see in our beautiful state that don't tend to show up on the postcards that you find in our tourist traps. And, the site of the second worst disaster in California history, in terms of lives lost. Some of the claims may be controversial, but there is such a spot. Happy hunting!